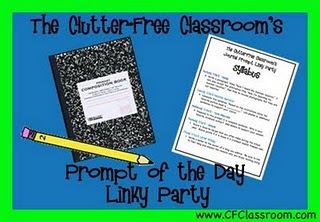 It's day one of Clutter-Free Classroom's week-long Prompt of the Day linky party! Every day is a different prompt (just like in our classrooms!) and today is.... How I'm Spending My Summer Vacation! My summer vacation has been going too fast AND too slow at the same time. Too fast because it's almost the end of July and I am so not ready for my very first classroom. But too slow because I really want to get into my very first classroom! My brain is confused. I've been spending a lot of time this summer looking through this lovely book. I'm 75% done with my Foundations of Teaching English as a Second Language class! I have learned a LOT! And it has definitely been a lot of work. Since it's a summer class, we are going at double-speed... so I am double-stressed. But I have an A so far, so I feel good about that! I just have three more chapters and one or two more giant projects, and then I am done-zo. Just in time to start school... ay caramba. I spent a week of my summer vacation with no power or running water! Crazy storms tore through Illinois, leaving us with branches blocking all the roads and tons of power lines down. Since we have a well at my house, that meant that we had no water, literally, for almost a week. It was pretty terrible. It made me thankful that I do not live in a third-world country. It also made me thankful that the heat wave is going to be this week, because if it was 100 degrees last week AND we had no power..... I don't even want to think about it! I've also spent my summer vacation shopping!! Today I spent a gift card that I had for a teacher store (and visited Dollar Tree), and I picked up a ton of stuff! I got three posters - a Lost Tooth Graph that we can fill out throughout the year, a Daily News poster that I'll use for Morning Meeting, and a Welcome poster in sign language! I had been looking for a Welcome banner type of thing, and my dear friend Stephanie found this for me, which will go perfectly with my sign language alphabet!! This poster makes me so happy. I also got the Scholastic pocket chart calendar I've been wanting AND two months of Poppin' Patterns calendar days! They make a pattern. Here I have displayed the AB pattern of August for your enjoyment! So cute! I also got name plates for my desks. I love that they are red. And pipe cleaners for Word Work during Daily Five (Wikki Stix are cool but they are $20... and these pipe cleaners were $1) and a counting puzzle! Whoohoo! You found some great things at Target, too! The last few weeks before school are so intense! I don't know about you, but even now I have trouble sleeping when my brain is on "get ready mode." You can do this! I enjoyed Spaces and Places. I read it mainly to get some more ideas on how to more effectively set up my room. I enjoyed how I had it last year, and it "worked" but not totally in a way that I wanted it to. Now after reading the book I have a whole new way of thinking about setting up my room. In addition to how to set up my room, Debbie talks about how to effectively pack up at the end of the year! I am going to have to refresh myself at the end of the year (so long from now) but I think it will be good - as I am going to request a grade transfer at the end of the new school year. 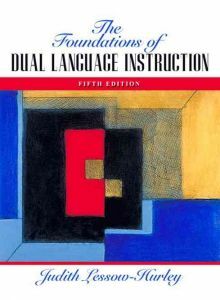 I recommend the book - although it is a little pricey because it is considered a "textbook" and my teacher discount at B&N didn't apply :-( You may be able to find it cheaper on the internet. If you have any other questions, don't hesitate to ask.